Here at Farnham Common Nurseries we stock a wide selection on our 5 acre site of which 60% are grown here by our knowledgeable staff. 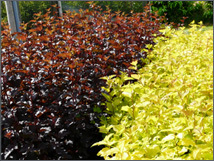 We stock a wide selection of deciduous and evergreen varieties, suitable for all situations and gardens – shade, or sun. In this category are Roses, which we stock seasonally October onwards, which include all the old favourites of hybrid tea, climber, rambler, and patio varieties. 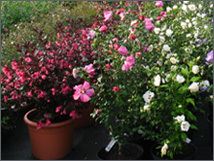 For further information on shrubs and roses, feel free to contact us by phone, or complete our online enquiry form, and we will be happy to answer any questions you might have.